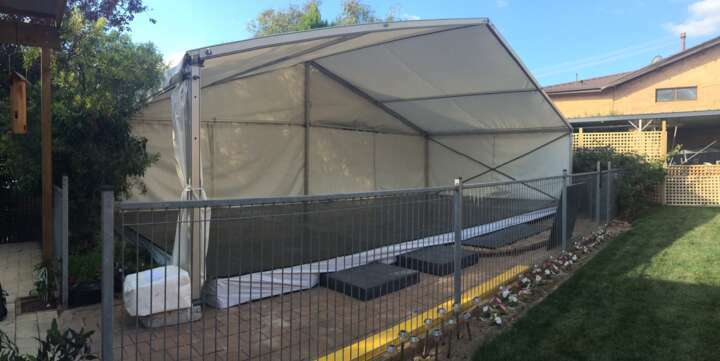 In order to maximize available space for your next party, Event Marquees provides quality wooden pool cover hire in NSW, VIC, ACT and QLD. 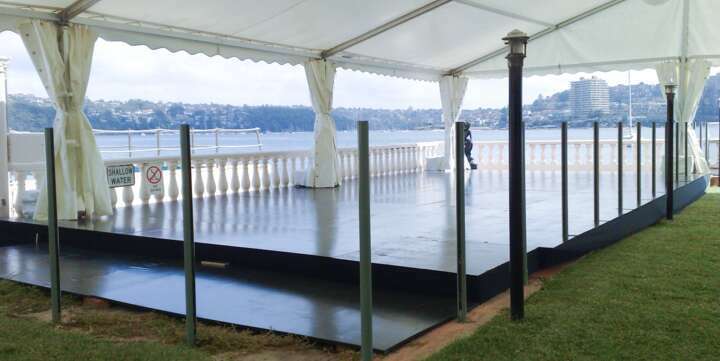 This resilient surface assists you in creating additional space to be integrated into your marquee rental or on its own. 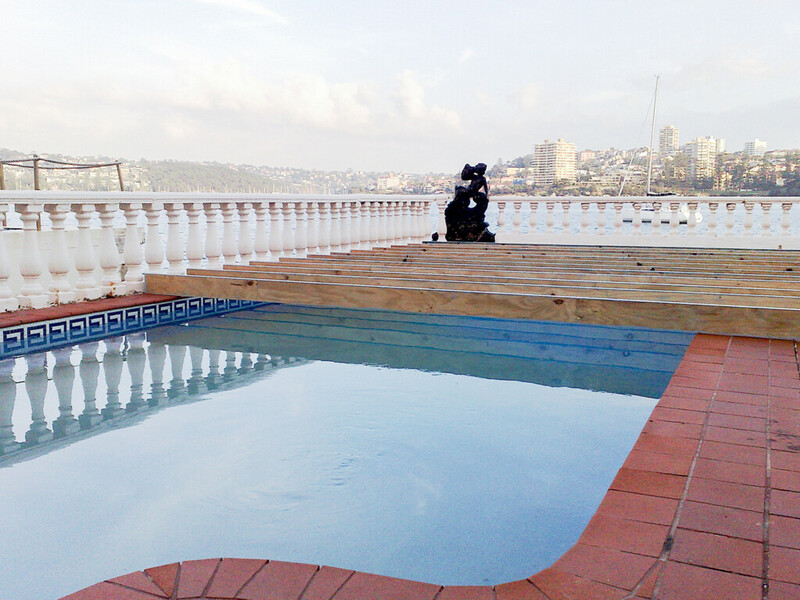 We have provided the pool cover for various applications and all kind of events, including dinner parties, 18th and 21st birthday party celebrations. The materials used and professional assembly ensures safety, strength as well as a great look. 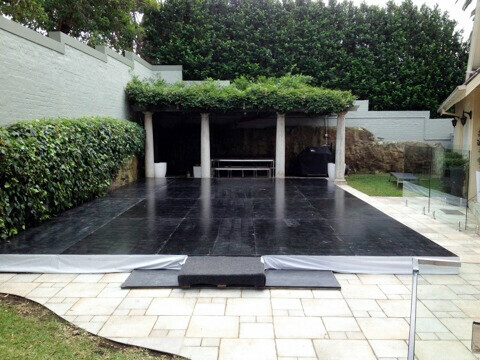 We suggest hiring marquee to be set up on top of the pool cover to provide shelter for the guests in case of rain. Please note the wooden floor can become slippery when wet. The versatile design of the pool cover allows covering most shapes of outdoor and indoor swimming pools. 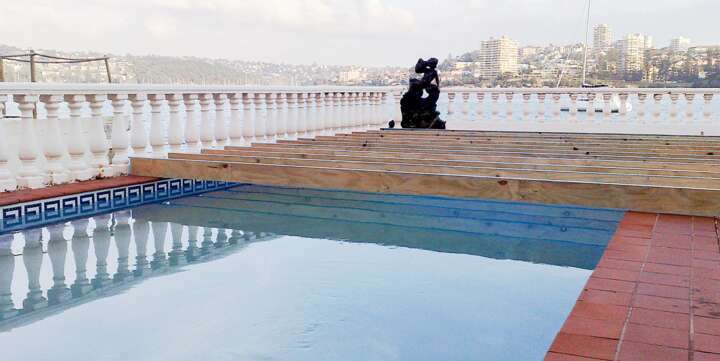 Rectangular pools as well as kidney shaped pools can be covered as long as the widest point is no more than 5.5m, there is no limit in length. 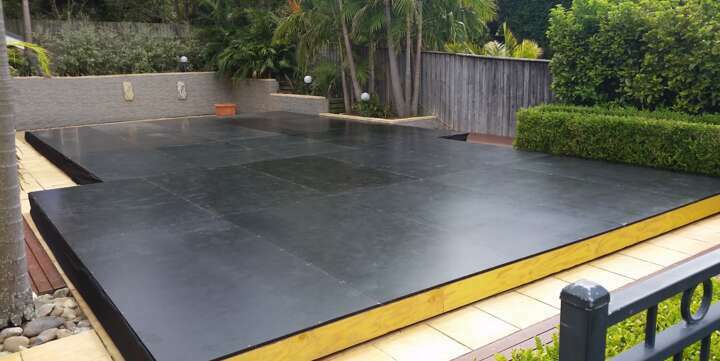 The pool cover is supported by its surrounding deck, not the floor of pool. We are a company operating in NSW, ACT, VIC and QLD and are happy to help you with your future events! 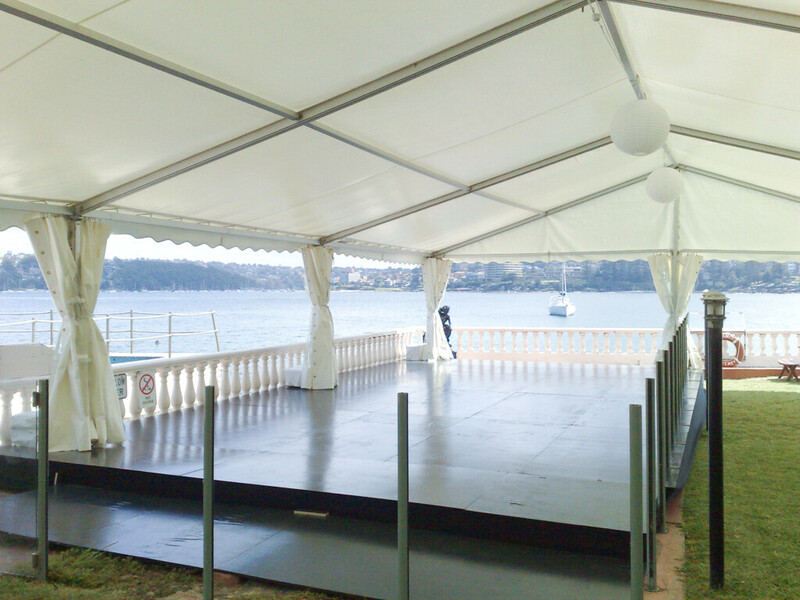 Write us an email at info@eventmarquees.com.au should you require more information.